The top 5 posse cuts led by DJ Khaled. As far DJs go, there's no one who sells more music than DJ Khaled. Khaled Khaled (no typo) is far from just a DJ though. The Miami hip-hop magnate is the founder and CEO of We the Best Music Group, which includes artists like Ace Hood and dancehall superstar Movado, and the President of Def Jam South, which helped revive Def Jam as a whole toward the end of the '00s. The most important artist on either label, though, might be DJ Khaled himself. Though you may laugh at his antics, the man has put out seven albums since 2006, each of them containing multiple undeniable anthems. Who else can get seven platinum artists on one track? How he does it? He's the best--the best rapper who's never rapped. We rounded up the top five posse cuts curated by Khaled Khaled, the man who embodies success with his every move, who, with a few self-reverential ad-libs, gets cred as the lead artist. We've included some other favorites in a special "We the Best" playlist. Now listennn! The second single off Khaled's upcoming album showed he has no trouble curating an all-star R&B lineup, and on "Hold You Down," he gets the best in the game. You don't normally get a slow jam when you think of the big man yelling his name on the track, but with Breezy, August Alsina, Future, and Jeremih crooning one after the other, there's too much game to resist. We get to see Khaled do a little acting in the video, aggressively persuading a fine young woman, "Baby, you smart. Matter fact, you a genius." All you need is a big-time hustler like Khaled to "Hold You Down." Expectations for Khaled's eighth album? Whatever you wanna say about Khaled, the Miami mogul stays on his grind, and on "Out Here Grindin," the lead single to 2008's We Global, he invites all his friends to revel in his We the Best movement. As you can see, there are seven features on the track, something we just don't see these days. Back in '08, you couldn't make a hit without an Akon hook, and here, his nasally singing revs up six guys who aren't in any need of a stimulant. 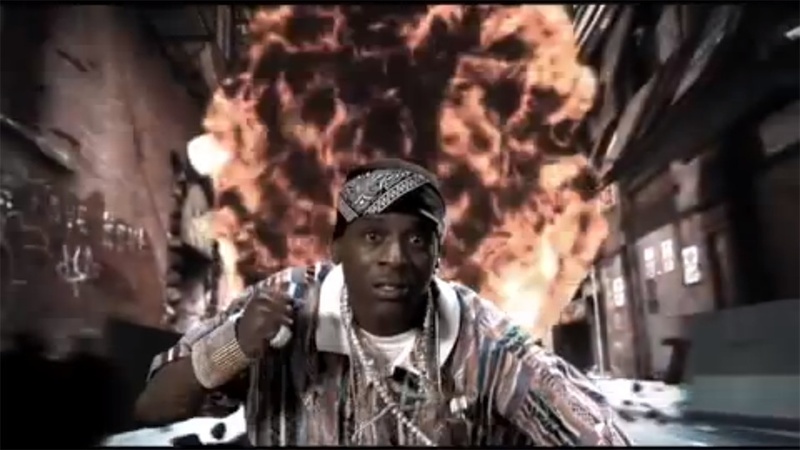 The video shows some of Khaled's most classic green screen moments, from standing on skyscrapers with Akon, to running from explosions with Boosie B. You really can't beat the choreographed dance routine, in which each man holds a red umbrella, led by Rozay. Who's lays down the best verse? My vote goes to Boosie--who would destroy the competition at the National Spelling Bee. Drake first hooked up with Khaled in 2010 on "Fed Up," which also featured Usher, Jeezy, and Rick Ross, the type of uptempo club smash Khaled was famous for. "No New Friends" was an unprecedented sound for the Miami kingpin, largely because of Drizzy, now at the top of his game, and the producers he brought along, Boi-1da and 40. Aside from creating a catchphrase that would dominate social media for about two years, "No New Friends" shifted the Khaled posse cut moved from all-out brashness to a more minimal tempo. As auto-tune began to fade out (before a recent reemergence), a subtly emo hook from Drake was your first-class ticket. Though Lil Wayne hasn't made any new friends, he's sure lost some old ones. "I'm So Hood" gives us the most entertaining intro from Khaled, as he pains to clarify who's, in fact, the best. It's another electric production from The Runners, who lent the Miami sound to the world, with all the glitz of South Beach and all the hood of Trick Daddy's grill. Plies and Trick Daddy, two South Florida OGs, did some of their best work with DJ Khaled, as their abrasive styles stood out next to the more pop-friendly swagger of guys like T-Pain and Rick Ross. Khaled may not represent "the ghetto world worldwide," as he claims to, but he certainly puts on for Florida. 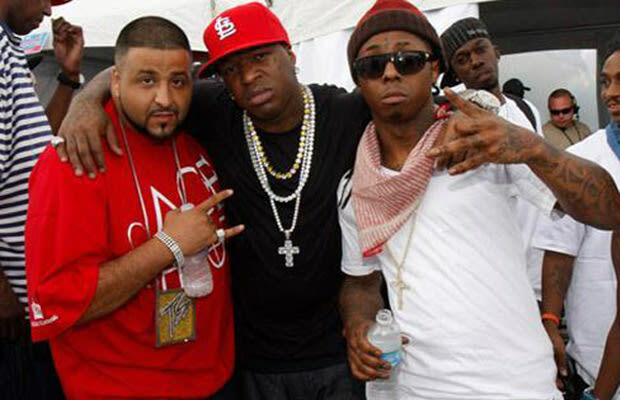 At first Drake was the young prodigy in Khaled's inner-circle, but he soon proved to be the most fruitful connection to come out of Khaled's affiliation with Cash Money. Drizzy totally carries "I'm On One," the undeniable song of Summer 2011, embodying every word of his effortless hook. On the low, at least half the credit has to go to Mr. 40 and T-Minus for the gorgeous production. It's a testament to Khaled's status in the industry that he got one of the best OVO tracks of all time on his album. To be fair, the track doesn't really start 'til we hear that "D-J-KHALED." By the way, that shot of Khaled drinking a Four Loko on his Miami balcony has to be one of the best plugs in video history.